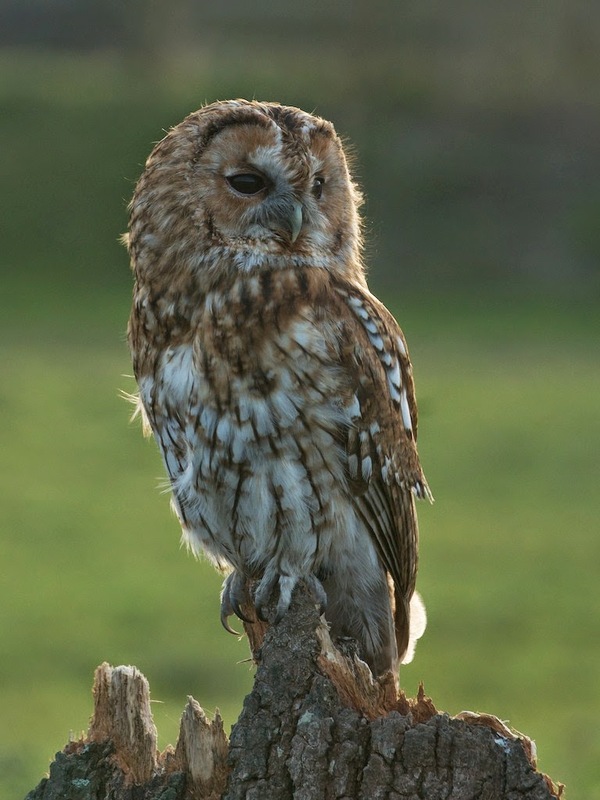 Following on form the barn owl, here are some of my older tawny owl photos. I probably have more tawny photos than any other owl... but have kept it to just the eight for now, so as not to owl you out. Again, I am keeping the flying and perhaps more unusual ones for later posts. 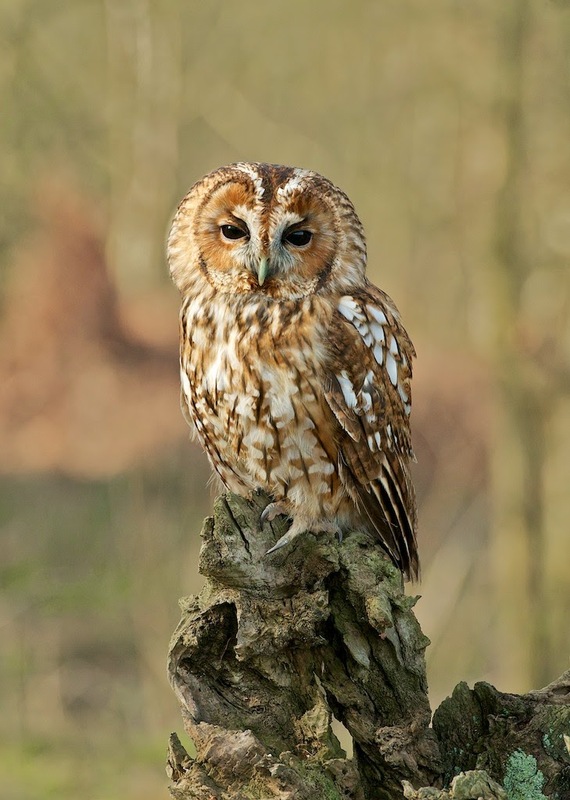 The tawny owl is Britain's most common native owl, and the one that has the classic "Tu-wit, Tu-woo" call. 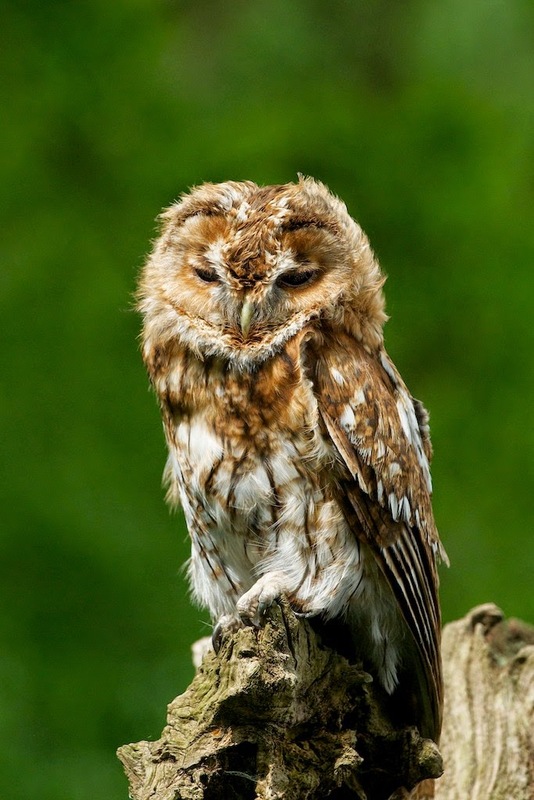 We have three and a half tawny owls at the Centre (work that out) some as beautiful as "Aluco" above. ... and some not so. No, of course I jest. This is "Florence on one of her scruffy days, it was also quite windy and so she was rather ruffled. Shows off her heart shaped face well though. Good close ups are great, but I find a lot of people focus too much on this... sometimes it is just as nice to zoom out and give the animal some space and room to breath in the frame. This one shows of Florence at her best. Back lit late one evening while trying to find new posts for our owl days. She is actually on a post we now use for our Eagle owl. 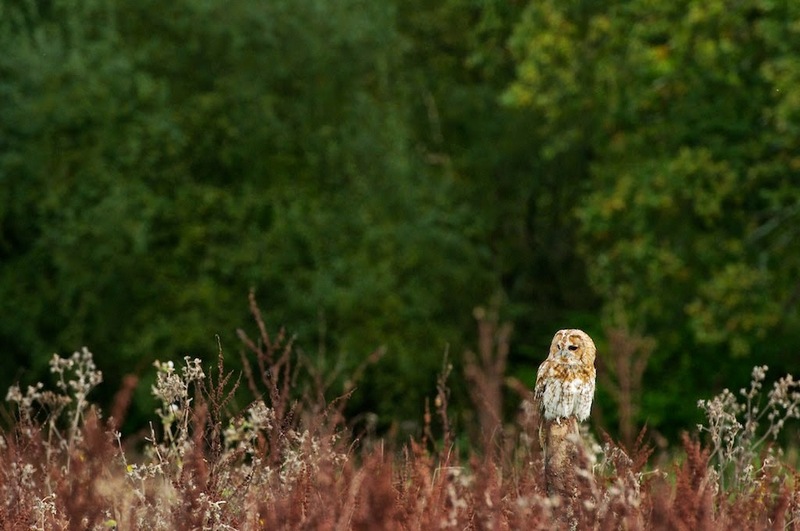 This is quite possibly my favourite tawny owl portrait I have taken. 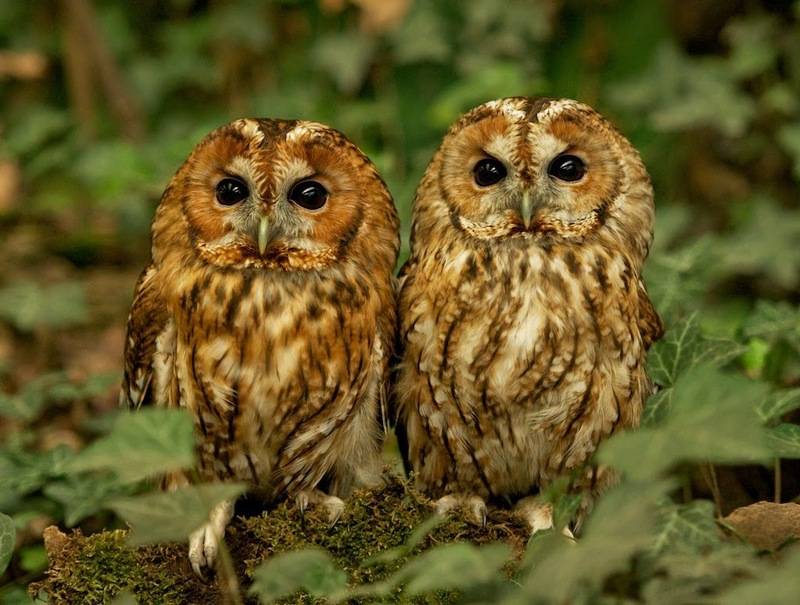 This is Strix and Aluco, named after the latin name for the tawny owl. Some of you may remember Strix... brother of Aluco, but who unfortunately died young. We collected these two from Wild Wood Trust at only a couple of days old. They were great together, above photographed in the ivy. 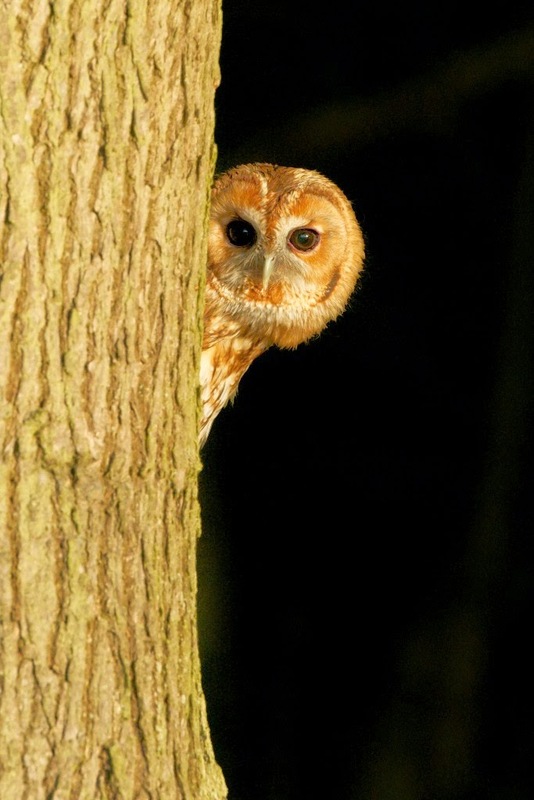 They are sometimes called the Ivy owl due to sometimes being found in tress covered in ivy. I quite like peeking shots, and this is an extreme "peek" from Florence. Taken in the evening light, and she is actually behind a huge Oak. I'll post a different composition at some point so you can see how huge the tee is! The light direction and metering settings allowed me to get the black background. 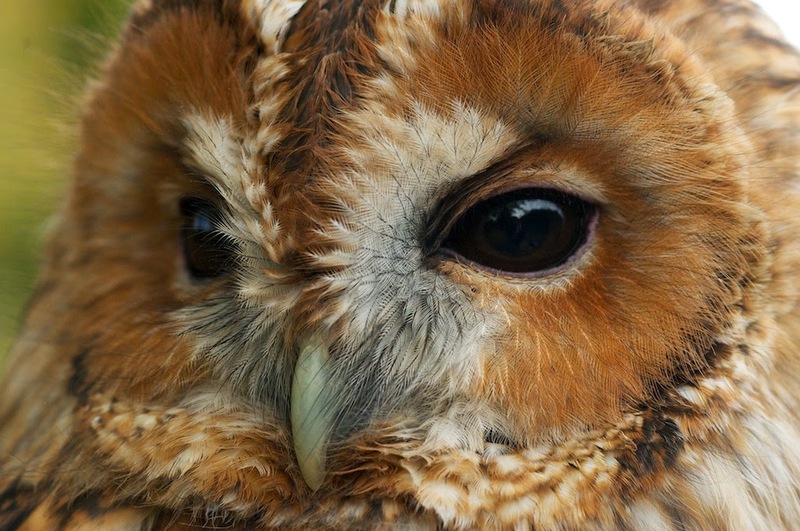 A close up of a tawny owls face. Not sure how this will display on the blog, but I am always amazed at the detail and composition of feathers which make up the facial disc... evolution and adaptations at its best! 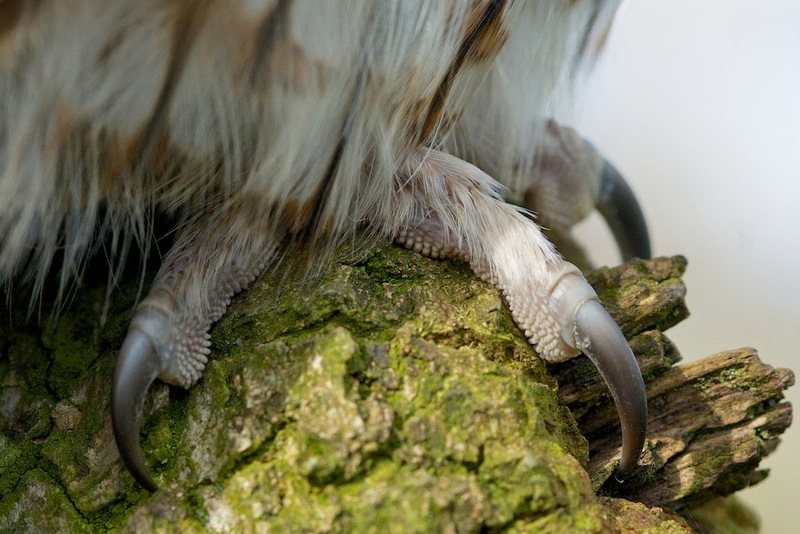 With adaptations in mind, here is a tawny owls talon. Check out that killing machine, and again the incredible detail in the composition of the foot. All the dimples and raised edges to give better grip. Incredible. Of all the birds of prey and raptors, it is the owls which are believed to have the strongest pound per square inch of pressure within their talons.